BLACKFIRE Midnight Sun Ivory Carnauba Paste is a hand poured premium carnauba wax that combines a mile deep shimmering gloss with high tech Wet Diamond polymers. It brings out the best in all paint finishes with a combination of super-refined carnauba wax blended with nourishing oils and Wet Diamond polymers. This wax creates incredible depth of shine on all paint colors with a hard, protective barrier to the elements. BLACKFIRE Midnight Sun Ivory Carnauba Paste Wax is perfect on top of BLACKFIRE Paint Sealant or by itself. It glimmers with depth either way! Midnight Sun is used on the most prestigious show cars thanks to its complex blend of ivory carnauba wax and Wet Diamond Polymers. Midnight Sun Ivory Carnauba Paste Wax is a pure wax without any cleaning properties. 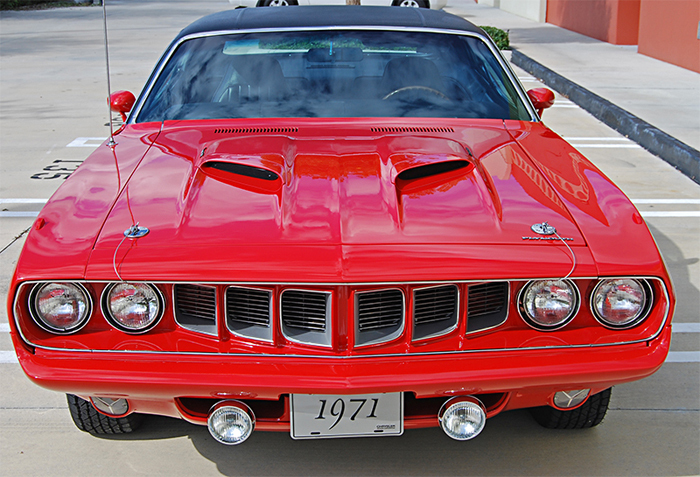 It is designed to create maximum shine on new, painted metal or painted fiberglass finishes. If your vehicle is two years old or older, we strongly recommend claying the vehicle with BLACKFIRE Poly Clay and Clay Lubricant to remove paint contamination. Then polish with BLACKFIRE Paint Cleaner before applying this Wet-Ice over Fire finish. The wax will bond better and have a clearer, crisper shine. BLACKFIRE Midnight Sun Ivory Carnauba Paste Wax is more resistant to washings than a typical carnauba wax. One of the drawbacks of any carnauba wax is durability. Our tests in Florida during the summer have demonstrated water beading after 100 days. The polymers used to fortify Midnight Sun are very resistant to high heat and detergent washings but BLACKFIRE�s Ice over Fire shine was designed for a particular "look," not for ultimate durability. To get the best shine AND durability, use Midnight Sun as a topper over BLACKFIRE Wet Diamond All Finish Paint Protection. Between details, spray and wipe the finish with BLACKFIRE Instant Detailer or BLACKFIRE Carnauba Spray Wax to maintain a high gloss and prolong the protection. Apply BLACKFIRE Midnight Sun Ivory Carnauba Paste� by hand or dual-action polisher using a soft applicator pad. 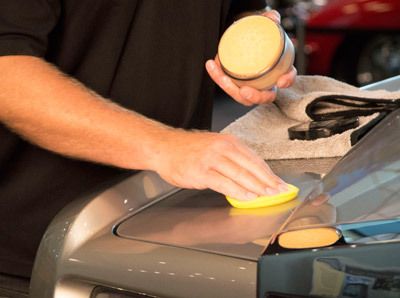 Apply a thin even coat onto a section at a time and� hand buff to a brilliant shine with a microfiber towel. Do not allow Midnight Sun Ivory Carnauba Paste to haze. For best results apply to properly prepared paint or on top of cured BLACKFIRE Paint Sealant.